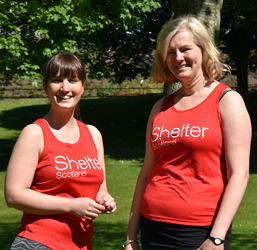 Gildan branded red running vest featuring Shelter Scotland logo. Ideal for exercising and if you’re a keen runner, why not run for Shelter? Find out how you can get involved here. 100% polyester.